Sharpen your mental reflexes and have fun doing it! No matter how old you are, your brain is of utmost importance to everything you do—we owe it to ourselves to stay mentally fit! This book will help you do just that. 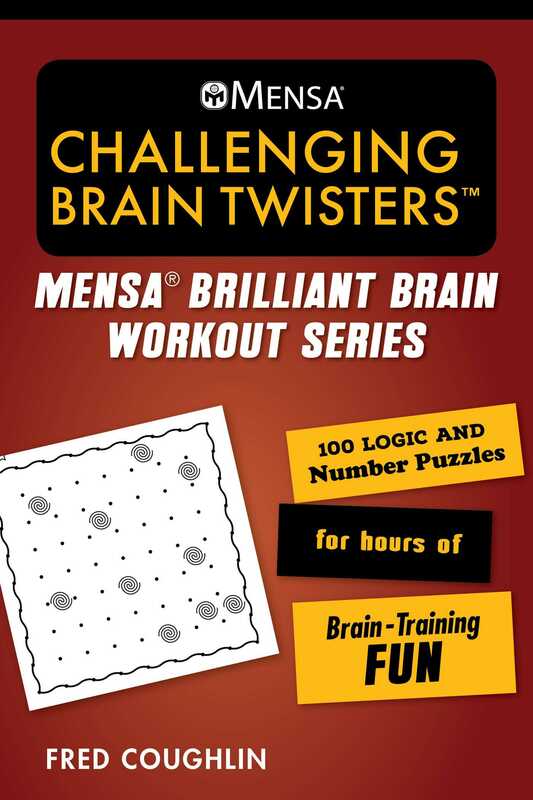 The newest book in American Mensa’s Brilliant Brain Workout series, it is full of the essential brain teasers for keeping your mind healthy. Whether you are looking to be able to focus during those long meetings or you just want to keep your mind sharp, these puzzles will be sure to increase your brain efficiency while providing a ten-minute workout for your cognitive lobes. In the end, you’ll have a stronger, fitter mind—and you’ll have had fun in the process. Challenge yourself and keep your mind young and sharp with these brain-bending games and puzzles. American Mensa has members who range in age from 1 to 102, and the community includes people from every walk of life. They include engineers, homemakers, teachers, actors, athletes, students, and CEOs, and all share one trait—high intelligence. To qualify for Mensa, our members scored in the top 2 percent of the general population on an accepted standardized intelligence test.